The Center for Sustainable Development at the University of Ibadan offers the Master of Development Practice (MDP) as a two-year program with an emphasis on Nigeria and sub-Saharan Africa. Most courses are classified according to one of the four pillars—health, natural, social, and management sciences—of the Global MDP program, although interdisciplinary approaches are integrated into the fabric of the program as a whole. Course offerings include, for example, Population Science, Literacy and Agricultural Development, and Culture, Leadership, and Sustainable Development. The MDP program includes field training and entails internships whereby students are attached to organizations that are engaged in forms of development practice that are congruent with their own interests and background. Established in 1948, the University of Ibadan is Nigeria’s leading university. It has an enrollment of approximately 12,000 and awards 90 percent of the country’s postgraduate degrees and some 60 percent of those throughout sub-Saharan Africa. 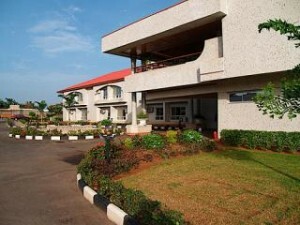 Located in Ibadan, Africa’s second largest city, the university for its MDP program is able to draw on the expertise of faculty from well-established schools and graduate departments in medicine, public health, natural sciences, sociology, urban and regional planning, agriculture sciences, and civil engineering. The Center for Sustainable Development was formed in 2010 to integrate economic, social, cultural and environmental objectives in development and, in part, specifically to provide a base of operations for the Ibadan’s MDP program.